SES has always been at the forefront of innovation, using new integrated Leica hardware in the field along with user friendly software guarantees maximum productivity and reliability. From data capture in the field direct to the CAD department via wireless communication links to uploading to web based information channels we can deliver your drafted surveys on time and within budget. SES runs the latest AutoCAD systems, not only do we benefit from what Autodesk has to offer but it shows our commitment to our clients and keeping our standards at the highest level. 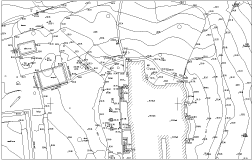 SES CAD operatives are not just highly skilled in 2D and 3D CAD drafting, they also have an in-depth knowledge of Construction and Engineering Surveying so they provide accurate, comprehensive drawings. 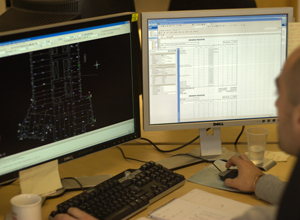 CAD drawings are produced to our own exacting standards or to the standards specified by the client and are delivered within pre-agreed timescales to suit even the fastest of fast-track projects. Clients may require that drawings are loaded into one of the many information channels, SES will keep you up to date via A-Site, BIW, In-Touch, Build on Line, Project Center, 4 Projects and others. SES uses the latest in plotting technology. Our HP Designjet CAD Plotter delivers photo quality paper plots from A3 up to A0 size. We also support and deliver a variety of CAD file formats to suit, from standard AutoCAD DWG and DXF to Microstation DNG and Web friendly DWF files. With the latest release of AutoCAD we are able to produce the latest in PDF drawing files which can convert all layers, filtered subsets, or selected layers into a layered PDF document. We at SES believe that with our dedicated CAD team and their wealth of experience we provide clear legible drawings which benefit a project from design to completion.